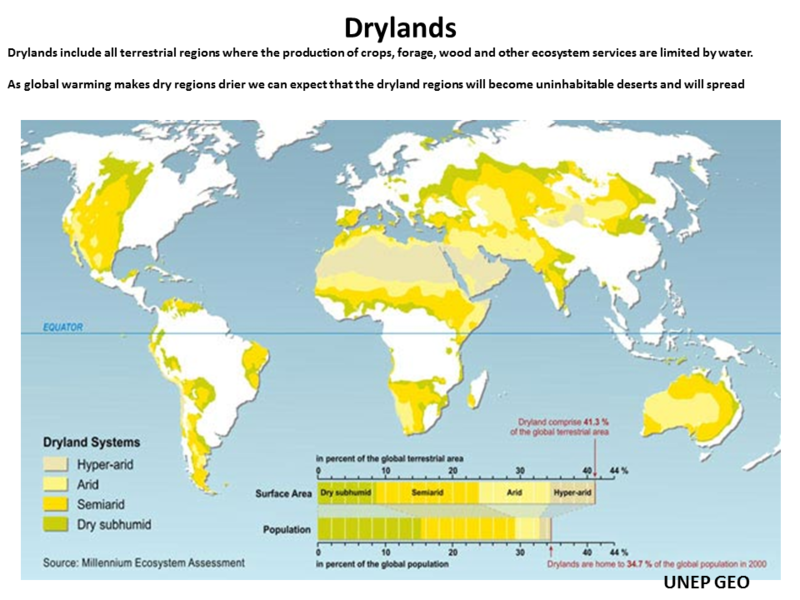 The IPCC predicts that world drought will increase due to global warming, which will increase desertification. 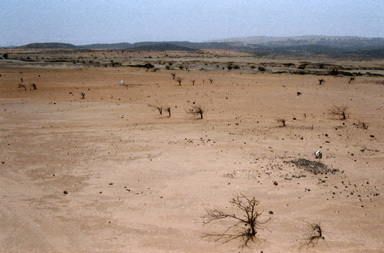 The Sahara is currently expanding south at a rate of up to 48 kilometers per year. 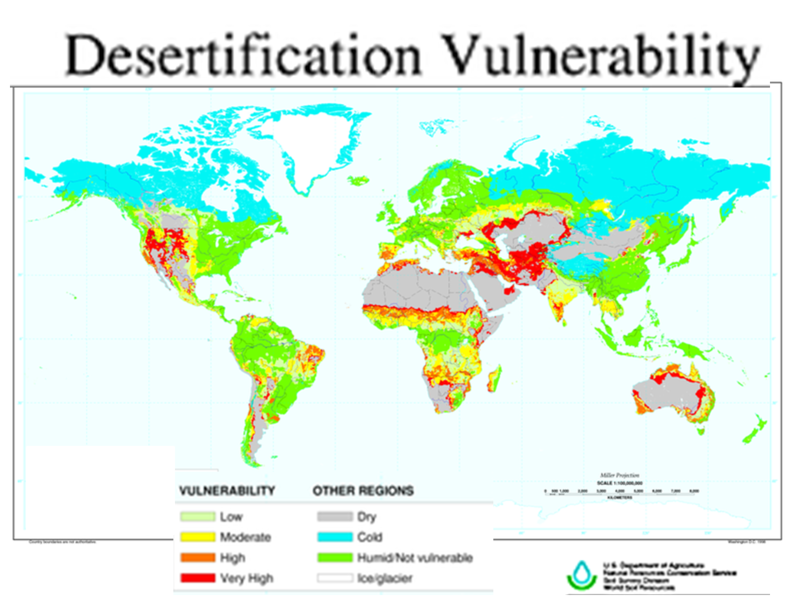 There are about 7.1 million km2 of land under low risk of human-induced desertification, 8.6 million km2 at moderate risk, 15.6 million km2 at high risk, and 11.9 million km2 under very high risk. 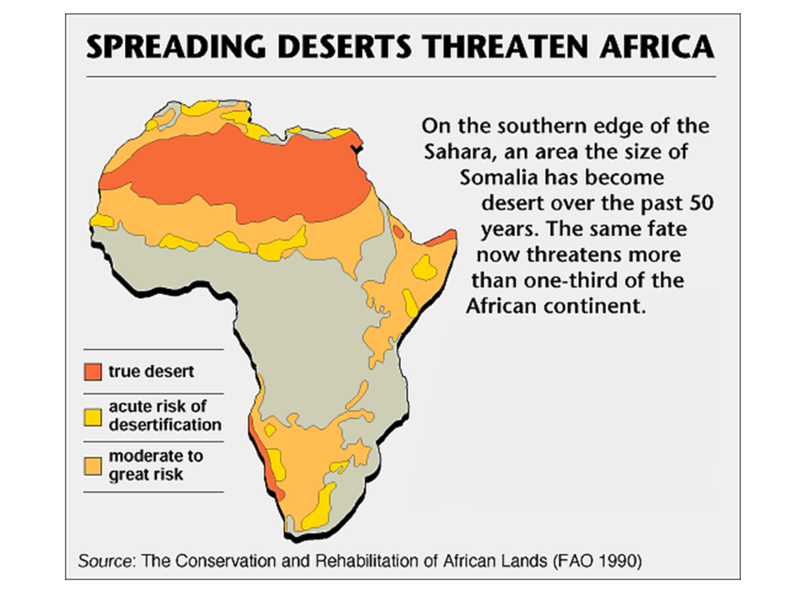 A major cause of desertification is poor land management. 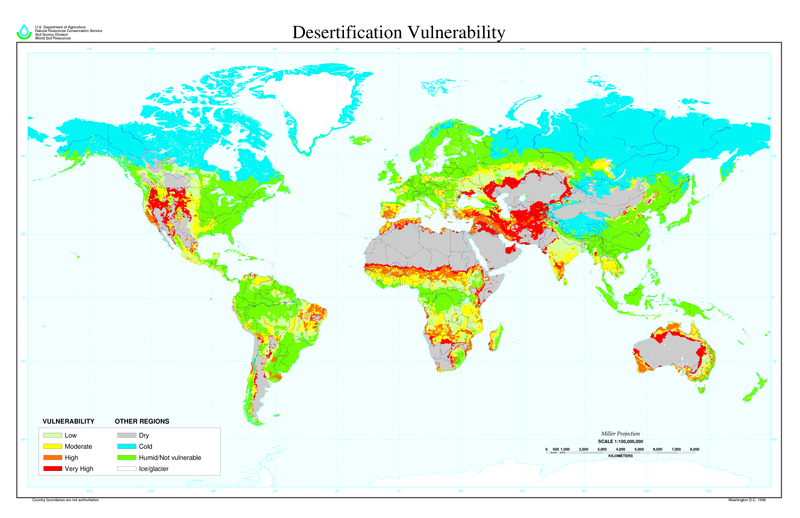 ​​NRCS Global Desertification Tension Zones Hari Eswaran.